Sustaining and utilizing our timber resources. Securing and expanding motorized and non-motorized recreation, year round. Protecting our headwaters and the wildest, roadless corners of the Kootenai as Wilderness. The Kootenai Forest Stakeholders Coalition (KFSC) is a Montana-made partnership of recreationalists, business owners, timber mill operators and conservationists. Together, we are deeply invested in the future of the Kootenai National Forest (KNF). We are dedicated to finding common-ground solutions to public land management challenges. We believe there is room for everyone across our vast forest. And, we believe our economy will thrive when our natural resources are managed in accord with the ecological needs of the forest, best available scientific research, and the needs of the local community. In 2015, the KFSC agreed upon a set of Forest Management Guidelines to ensure sustainable and predictable timber production, recreational access, and propose wilderness designation in some of the Kootenai’s last remaining truly wild and roadless lands. The KFSC Agreement is focused on sustaining and bolstering local timber production on the KNF. Current timber harvest levels produce approximately 50 million board feet of timber per year on the KNF. Our recommendations support the current KNF forest plan timber harvest levels of 70 – 90 million board feet per year, while also protecting what makes the Kootenai special – clean water, secure wildlife habitat, and backcountry motorized and non-motorized recreation opportunities. The KFSC works in tandem with land managers at the Forest Service to make recommendations on individual timber projects at the district level. The KFSC assembles a team of locals from each district across the KNF to work in partnership, representing the needs of the community. Working with a culture of respect, we aim for representative teams with community members from broad backgrounds including timber professionals, outdoors people, conservationists, local business owners, motorized recreational users, and more. The team works side-by-side with the Forest Service – using our Forest Management Guidelines as a reference to inform our process at the project level – to produce sustainable projects that come to completion swiftly. We aim to avoid litigation by using this model of collaboration and broad community support. The KFSC provides a forum and a locally-driven means for our community to have a voice in forest management. We welcome new community members who are willing to operate with a culture of respect and are interested in having a voice in local land management. If you would like to learn more or be involved, please contact us here. What is the Kootenai Forest Stakeholders Coalition (KFSC)? We are an organized and self-initiated coalition of groups and people deeply invested in the future of the Kootenai National Forest. We come from timber, business, motorized recreation, conservation and other viewpoints in the community. What is the goal of KFSC? We work to help the Kootenai National Forest be more successful. We do this by bringing diverse views together and mapping the areas of agreement toward multiple-use management. By focusing on common ground, we can help advance all our goals for the Kootenai National Forest. How do I become a member of the KFSC? What are the KFSC Forest Management Guidelines? Our guidelines are recommendations to Kootenai National Forest Service officials charged with managing forest resources. They lay out specific areas of agreement for active forest management, recreation, and wildland conservation. 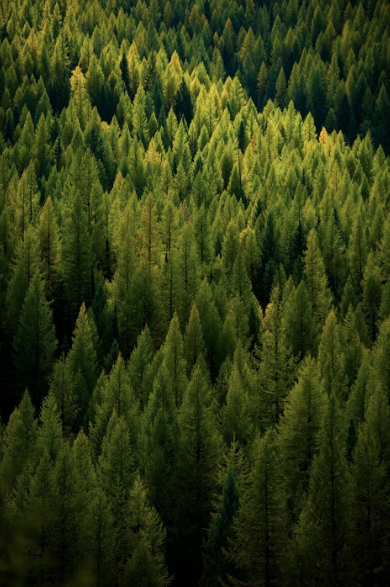 These guidelines outline timber harvest within the suitable timber base and are intended to complement – not replace — legal responsibilities such as the Kootenai Forest Plan, the Endangered Species Act, or other guiding laws. What Do the KFSC Management Guidelines Say About Timber? We think that, properly funded, the KNF can reach its goal of sustainably harvesting 70-90 million board feet/year in a manner that provides needed certainty to the timber industry. Timber harvest is an important tool for keeping forests healthy, restoring damaged forests, improving stream quality and improving habitat conditions for big game as well as threatened species such as lynx and grizzly bear. The KFSC has a track record of supporting successful active-management programs. How can the KNF achieve its timber harvest goals? We think the agency can harvest more acres, but with a lighter touch. In some places of the forest, the KNF should manage to maximize timber production. In others, forest management should be used as a tool for objectives such as improving habitat conditions or restoring species like western white pine, and helping to protect rural homes and communities from wildfire. Timber harvest can mimic natural forces, particularly fire. The Stakeholders have recommended six areas for Wilderness designation by Congress. These include additions to the existing Cabinet Mountain Wilderness, the Scotchman Peaks on the Idaho line southwest of Bull Lake, Roderick Mountain, Saddle Mountain, and Grizzly up the Yaak, and Gold Hill West. Wilderness protects intact watersheds, provides for traditional, quiet recreation and provides secure wildlife habitat for species sensitive to human disturbance. What about motorized recreation, such as snowmobiling? The Stakeholderss recommend several areas be defined for snowmobiling, ensuring that access will remain for this popular winter activity. Permanent snowmobile areas are defined in the Yaak and near the Scotchmans. It also identifies areas for exploring motorized recreation in the southern Cabinets, and maintains established areas on the Libby and Eureka districts. What are the backcountry winter motorized areas? We are in support of winter motorized Backcountry Areas, where management objectives are focused on maintaining and enhancing winter recreation opportunities as well as wildlife habitat, security, and connectivity for species with large home ranges. Some mechanized use (including mountain bikes, game carts, and other wheeled non-motorized equipment, as well as chainsaws) would be permitted within these areas, as well as winter motorized use (snowmobiling). Summer motorized use would not be permitted in these areas. What are the backcountry non-motorized areas? We are in support of non-motorized Backcountry Areas, located primarily in inventoried roadless areas. These areas are important for non-motorized recreation such as hiking, horseback riding, and hunting. These areas are also important for wildlife habitat, security, and connectivity for species with large home ranges. Some mechanized use (including mountain bikes, game carts, and other wheeled non-motorized equipment) would be permitted within these areas, on a place-by-place basis.